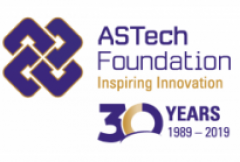 Are you considering submitting a nomination for the ASTech Awards? First, watch this video with great tips from a previous winner. It’s the best six minutes you’ll spend. Pay close attention to the criteria for each award. Successful nominations are clear, concise, well thought-out and complete. Clear lines are drawn between the questions asked and the answers. Ask a trusted colleague to review the nomination as though they were a judge. If they come back with questions or asking for clarity, fix those problems before you submit. Although judges are industry experts, they are not necessarily experts in your field. Write accordingly. Avoid acronyms and technical jargon unless it is well explained. Create understanding for an outsider. Good nominations take time to prepare, but are well worth the effort. Ask yourself: are we ready for this recognition? Heed the words of one adjudicator: Sometimes the quality of the work as described does not lead the judges to believe the nomination worthy of the award. Some need more time, some need more success, some need to carefully read the criteria and perhaps consider which category the nomination falls in and some frankly are not worthy of an award. The judges are looking for significant lasting achievement, truly innovative use of knowledge or true generation of new knowledge and understanding, with an impact on Alberta. Some nominees were thought to be good practitioners but were not thought to be innovative so some of the awards which clearly are looking for innovation were not deemed to fit. This is a competition and these are prestigious awards. You must be deemed the best in your category to win. You may be nominated in a year when the quality of nominations is extraordinary. Expect this will be the case and be determined to show the judges your best self. Do not cut and paste from other marketing or nomination documents; treat this process respectfully and with the full attention it deserves. If the quality of nominations in any category is deemed to fall below the bar set by the criteria, the award will not be presented. The ASTech Awards are the most prestigious honours in Science and Technology in Alberta. We do not honour anything less than outstanding achievement. Show confidence but back up all claims of success or potential success with evidence. Ask for descriptive and illustrative letters of support. – Was genuine and heart-felt. Click here for excerpts from other support letters viewed favourably by the judges. If you need help pulling it all together: we have compiled a list of freelance writers in Alberta with grant-writing experience (many in science and/or technology fields) who can help you articulate your story in the most effective manner. Email nominations@astech.ca for the list; it’s up to you to negotiate directly regarding the scope and remuneration. How will judges view your nomination? It was all nonsense; what do they actually do? Where is the impact of the work?